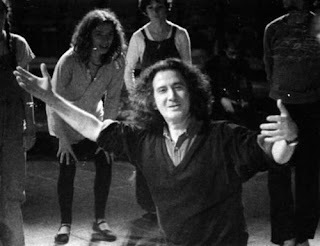 In my first foray into community arts in 1991 I attempted a method called Theatre of the Oppressed, with a show entitled innabody. In this show I worked with 7 women under 25 to explore body image and eating disorders. 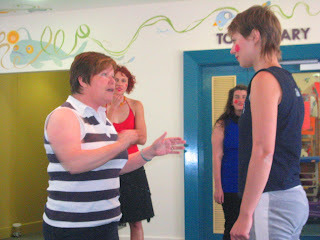 We created a piece of Forum Theatre which asked the audience to actively solve the problems presented on the stage. Here is an image from a Forum theatre I piece I did in 2007, entitled She. This is a popular method of performance used in community arts, and I have used it several times since. Each time I have been part of the experience I have found it to be collectively transformative. 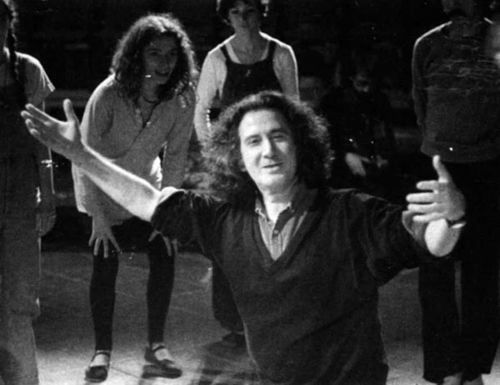 Theatre of the Oppressed (TO) was created by Augusto Boal in Brazil, following the pedagogy of Paolo Friere. Friere, also from Brazil, wrote about 'bottom up' rather than 'top down' education. In this style both teachers and students decide upon curriculum and examination. Teachers and students share the same power, simply sifferent functions within the school. In Boal's approach, rather than use theatre to proscribe messages to people, he uses performance to help people uncover their own desires. TO therefore distances itself from some theatre for development and theatre in education that proscribes health, education, or development messages to people. The stage is instead used as a place for the oppressed to critique and work together against the oppressor. TO is made up of several performative forms, including Forum Theatre, Rainbow of Desire, and Newspaper Theatre and Legaslative Theatre. Forum theatre is a style in which a problem that is faced by an individual, one likely to be shared by many in the community, is performed in front of spect-actors. The story is performed again, but this time, any spect-actor (Boal's term for one who is both spectator and actor) may yell out 'stop!' at any time during the story, and attempt to solve the problem presented on-stage. 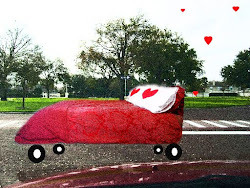 The story is changed, repeated, and retried until a solution is reached that all are happy with. Solutions must be possible, without any 'magic' cures. Performance therefore becomes a model for future action. It is preparation and planning for overcoming a shared problem. The stage is a safe space to practice and make mistakes. It is a place to share solutions, and try new options. I am so excited to have found you! I am currently finishing my master's thesis in theatre in the United States. My research is focused on theatre as an advocacy tool for survivors of sexual violence. It's so rare to find someone else focusing in this area! If you want to email or communicate at all about your research, I would love to talk to you about it! WOW! You're right - it IS so hard to find someone else focusing on this area! Whoo-hoo! So - what sorts of performance are you looking at? Theatre of the Oppressed? My research looks at the connections between applied theatre and feminist performance art. I'm writing about playback theatre at the mo....Have you done any? I notice from your description that you are an actor yourself - what sort of stuff do you do? I direct community art performances (like the one you see here_) and also perform. Most recently, a kid's show at the art gallery.